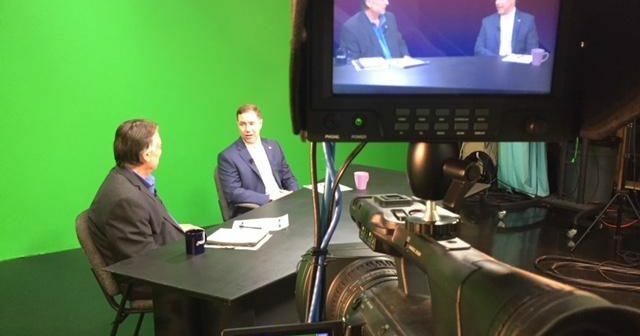 WBBZ-TV owner and Executive Producer Phil Arno is bringing a new program to Your Hometown MeTV Station, where topics are handled in a way not often seen on local television, covering the big picture every week. 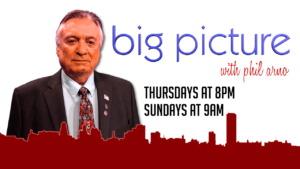 This week, Get the “Big Picture” on Erie County politics when longtime legislator Ed Rath talks with Phil Arno on everything from fixing roads to broadband expansion. Host Phil Arno has decades of experience in covering news from Buffalo to Los Angeles. Winner of numerous awards, Arno was a videographer and correspondent while working for WKBW-TV; WIVB-TV in Buffalo, and several stations in California. Arno was one of the first videographers to shoot video from a chopper. His coverage of the infamous O.J. Simpson white Bronco chase was seen worldwide. He often covered news LIVE from the chopper with legendary anchor John Beard when they worked together at KCAL Channel 9. Phil brings that expertise to this new talk and information program, with his constant sense of inquisitiveness on all topics. We want to hear from you. Post to our WBBZ-TV Facebook page, and @WBBZ on Twitter with your comments and questions. Phil Arno hosts the program, airing Thursday night at 8p.m. with an encore Sunday morning at 9a.m. on WBBZ-TV, Your Hometown MeTV Station. WBBZ is seen throughout Western New York over-the-air on digital channel 67.1. Ch. 5 on Verizon FiOS (HD 505); Ch 5 Dish; Ch. 67 DirecTV, and on Spectrum: Buffalo – Niagara Falls Metro area: Channel 5 (HD 1230); Batavia – Genesee, Wyoming, Orleans Counties Channel 71 (HD 1230); Parts of Erie and Niagara Counties Channel 71 (HD 1230); Dunkirk Channel 5 (HD 1230); Olean Channel 5 (HD 1230); Fredonia – Jamestown Channel 72 (HD 1230); Alfred- Angelica- Avoca- Bath- BolivarFriendship- Hornell Channel 5 (HD 1230).